Welcome to Onward North Company LLC, and thank you for visiting!!! We hope that this website will provide you with information to help you in your search for Custom Stamped Steel Wrenches. Onward North Company LLC, manufactures a comprehensive line of custom stamped steel wrenches. For over 100 years we have provided services for the power tool, furniture, bicycle and other industries. We offer a wide variety of styles and thicknesses to choose from. 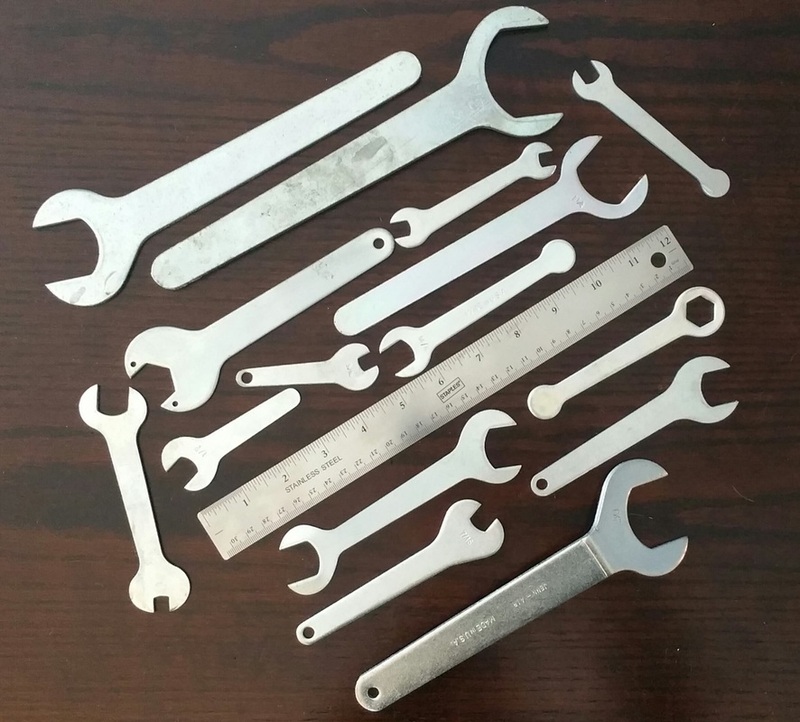 All of our custom wrenches are 100% American Made, utilizing local steel, heat treating and plating companies. Our wrenches comply with ROHS & REACH standards, and can accommodate both standard & metric openings. They come standard with .007-.01 case hardness and are finished with a zinc electroplate. Onward North Company does not require a minimum order quantity (MOQ). We invite you to continue browsing the site, and to take a look at our product line. If you do not see a wrench that fits your needs, we may be able to fabricate a part just for you. To get more information or to request a quote for a custom wrench, please e-mail or fax us what you would like specially crafted. Please include any drawings or dimensions and we will work with you to make it happen. We pride ourselves on making a quality product at fair prices, and remember with Onward North Company LLC, you are ordering directly from the manufacturer, so we can usually meet or beat our competitors pricing. Our normal production time is typically is 3-4 weeks, but we can do rush orders if needed. Blanket orders are accepted and we can keep your custom wrench available for you, until it is needed. We can be reached by using our contact form, or if you would like to talk to us in person, our friendly staff is here to provide you with excellent service. Office Hours are Monday-Friday from 8:00am-5:00pm (EST) at: 269 - 673 - 5022. You can also fax any inquiries to us at: 269 - 673 - 4165. Copyright 2003-2016. Onward North Company LLC. All rights reserved.